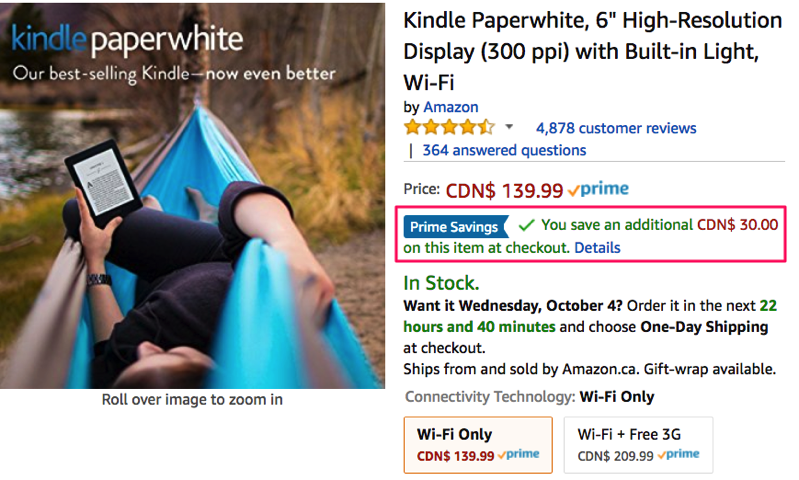 Amazon.ca has launched a Prime Member exclusive sale on their Kindle Paperwhite, the company’s popular front-lit ebook reader, shaving $30 off the regular price to make it available for $109.99, matching the second lowest price ever for the reading device, according to price tracker CamelCamelCamel. (update: Prime Day actually had this at $99.99, the actual lowest price ever and not picked up by CCC; still a great deal though). This sale is for the Wi-Fi version, which normally retails for $139.99. It has a 6-inch touchscreen display with 300ppi, weeks of battery life, won’t tire your eyes in the dark, and can hold thousands of books. 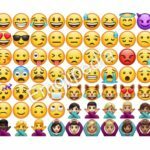 Amazon’s WhisperSync technology means your bookmarks are saved in the cloud, allowing you to pick up and continue reading from any device, such as your iPhone or iPad via the Amazon Kindle iOS app. Prime comes with a 30-day free trial, allowing you to cancel at anytime. The service also includes free Amazon Prime Video and 3 free audiobooks from Audible, plus 20% off diapers with Amazon Family. Click here to jump on the Amazon Kindle Paperwhite while the sale is still on for Prime Members.